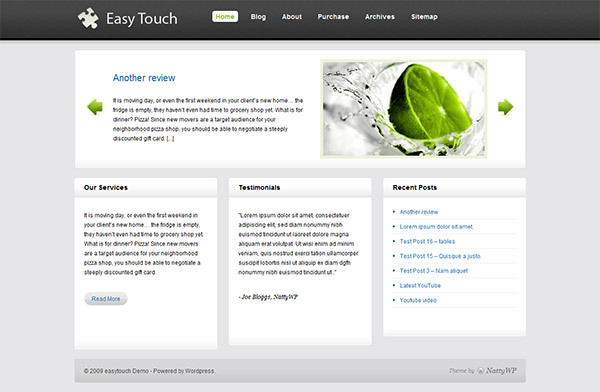 The Easy touch theme is another CMS template by NattyWP. 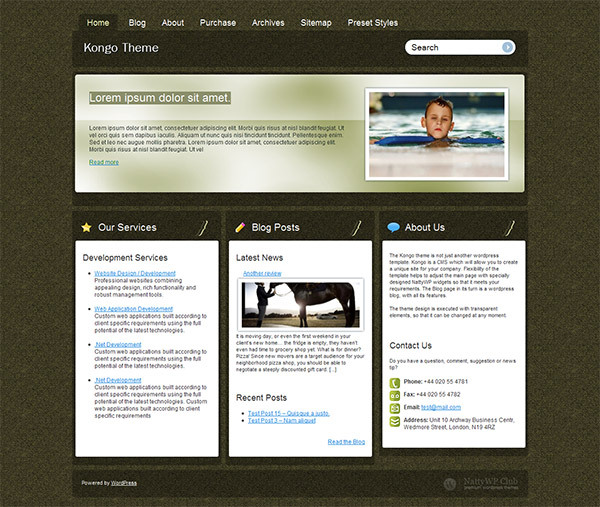 Using this theme you can easily create an unique site for your company or present your business in an attractive way. The flexibility of the template helps to adjust the main page with specially designed widgets, so that it meets all your specific requirements. The Blog page in its turn is a wordpress blog, with all its features. The theme has a featured news slider lets you display the most important information on the main page of your site, with a separate company blog that is tucked away from the homepage. You get an advanced color control module and 5 custom widgets. The theme is ready for localization using gettext functionality (.po files), it has a SEO Optimised Layout with custom SEO settings, an automatic Image Resizer, which is used to dynamically create the thumbnails for the blog posts and more.